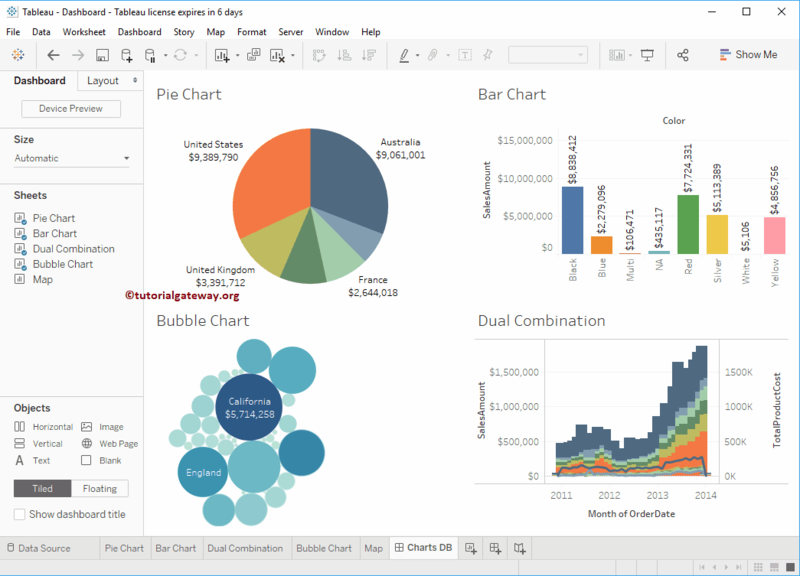 Tableau Dashboard is a View that will display a collection of several worksheets. 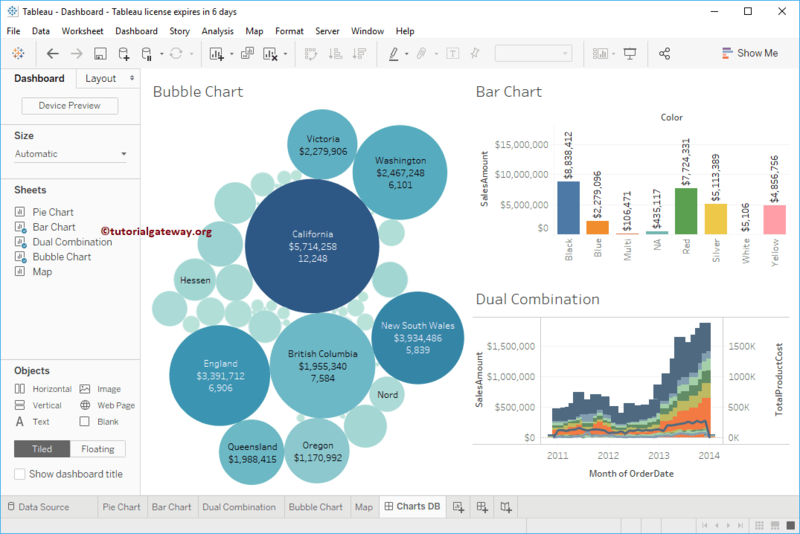 You can use a single dashboard to analyze the entire Business. 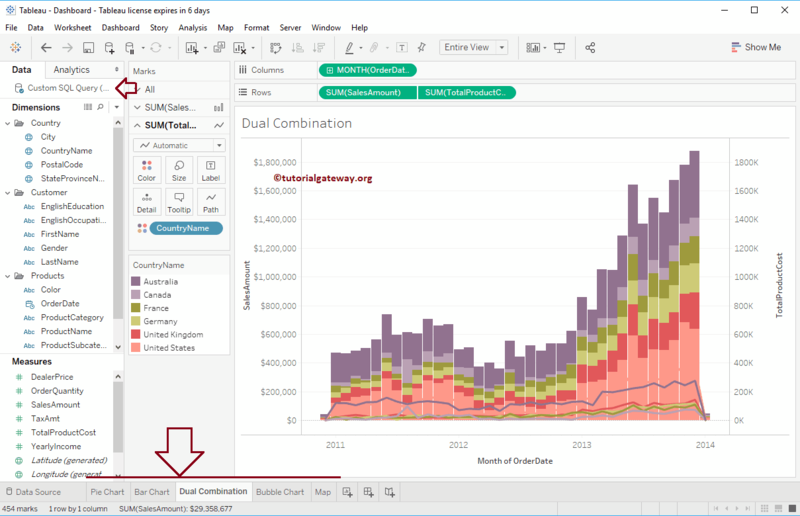 In this article, we will show you, How to create a Dashboard in tableau with an example. For this, we are going to use below worksheet. 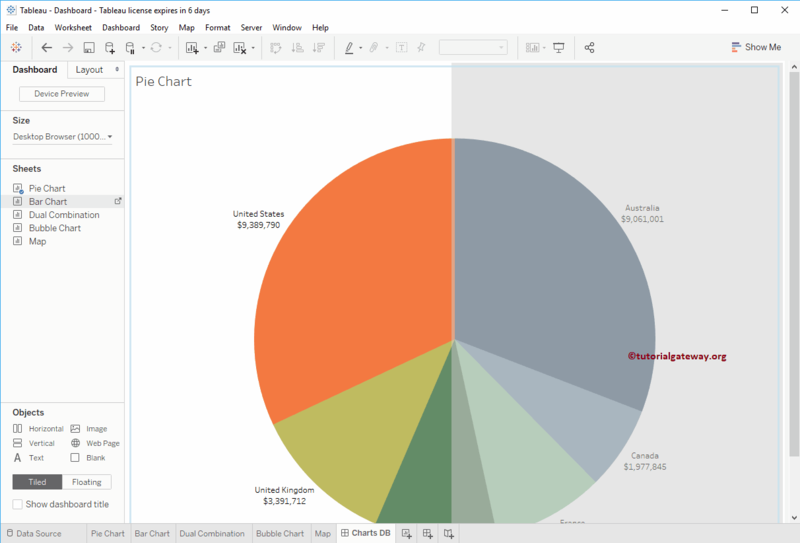 If you observe closely, it has a Pie Chart, Bar Chart, Dual Combination Chart, Bubble Chart, and Map. 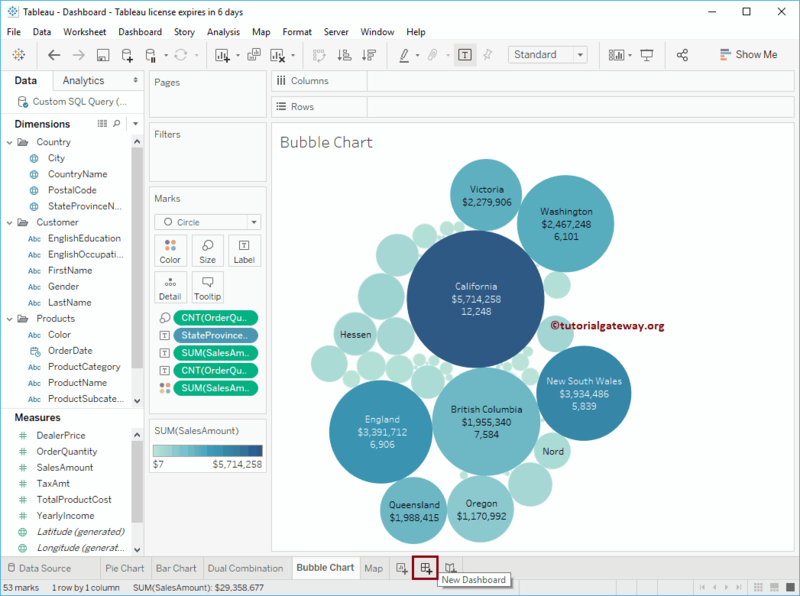 And, please visit Data Labels in Tableau Reports article to understand the Data Source. Please click on the New Dashboard tab to create a Tableau Dashboard. Now you can see the dashboard. Device Preview: Use this button to create a View for Phone, Desktop, and Tablet. Size: Use this property to adjust the dashboard display size. 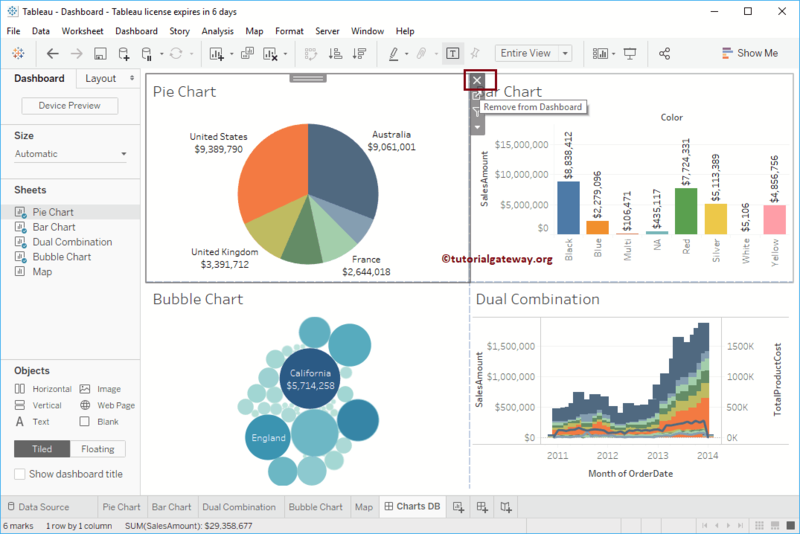 Sheets: List of Sheet that is available to create this dashboard. 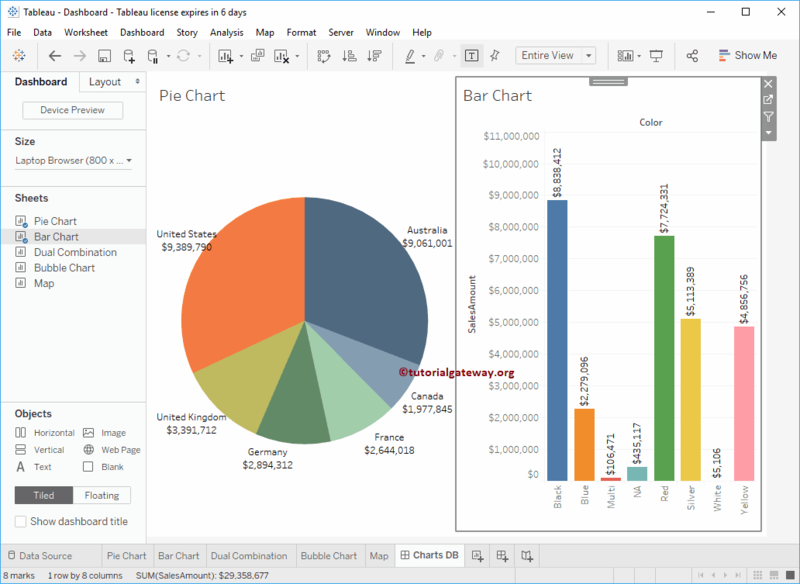 Objects: Predefined Tableau dashboard object that you can use in your dashboard. Name of the Dashboard. 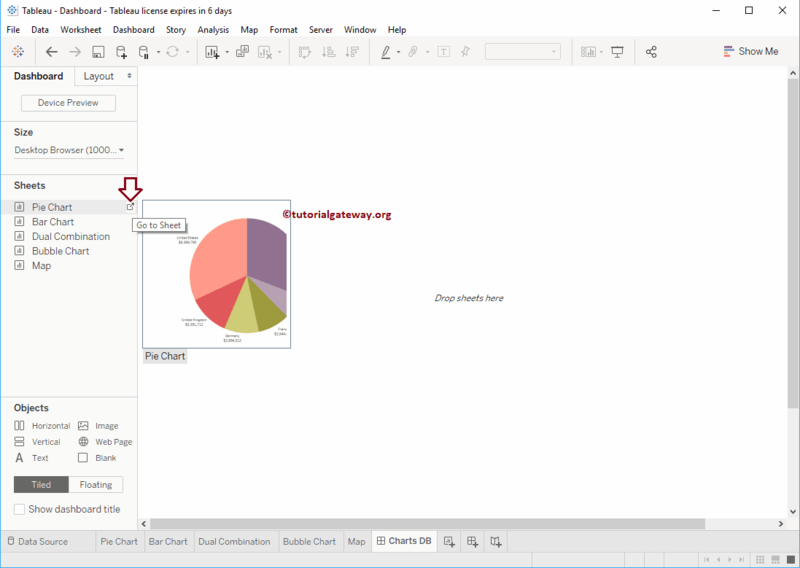 Right-click and select Rename Sheet option context menu to rename the dashboard. 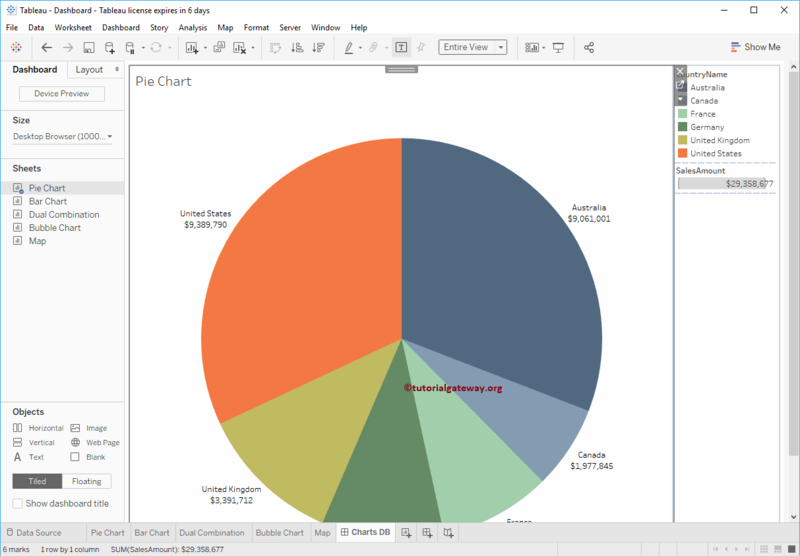 Let me Drag and Drop Pie Chart to the dashboard. 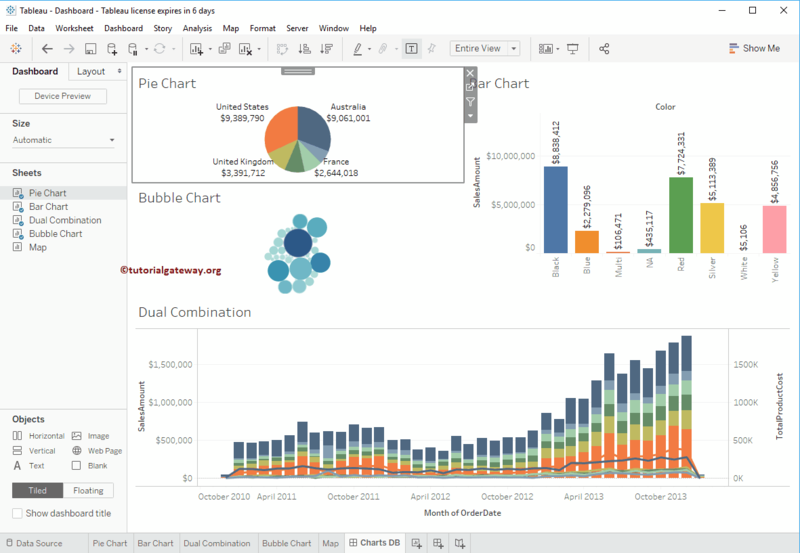 Now you can see two Sheets inside our Tableau dashboard. 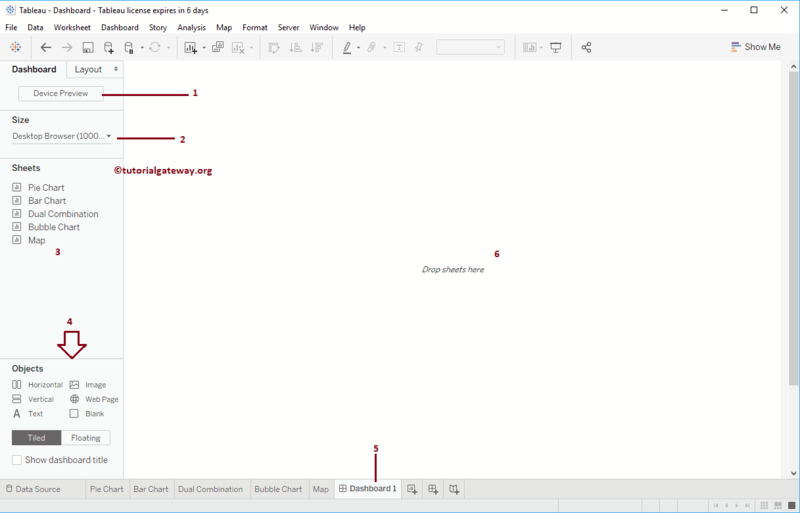 Let me add the Dual Combination Sheet and Bubble Chart as well. To rearrange the Sheets on the dashboard, Please select the Sheet that you want to change the location and use the marked field. To demonstrate the same, we placed the Dual Combination sheet at the bottom of the dashboard. 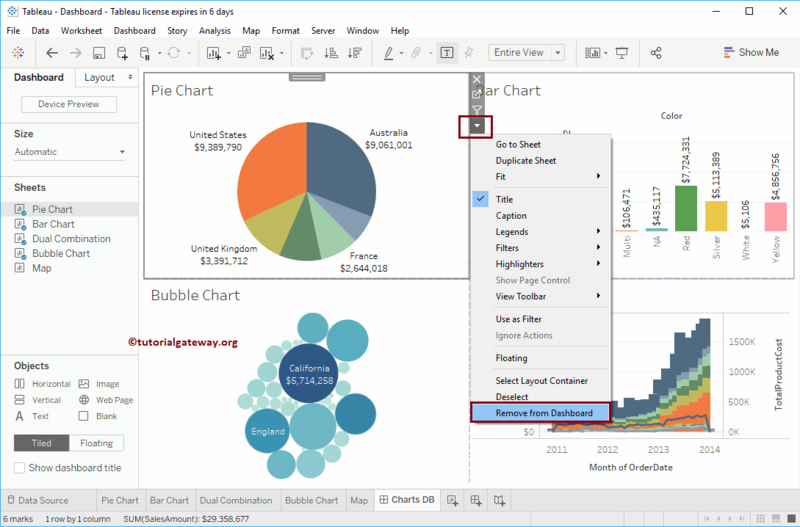 Please select the Sheet that you want to delete from the Tableau dashboard. Next, click the Close button as we shown below. Or click on the Down arrow and select the Remove from Dashboard option from the drop-down menu.